Down distant street I hear. In a jazzy kind of beat. Makes me bounce along the street. More I would like to hear. Music, I hear what a beat. Jazzing along to his own rhythmic song. Took out my sticks to join the beat. People heard and stopped right through. Vertigo has come to claim someone. Here are more haikus from what a dog would write. 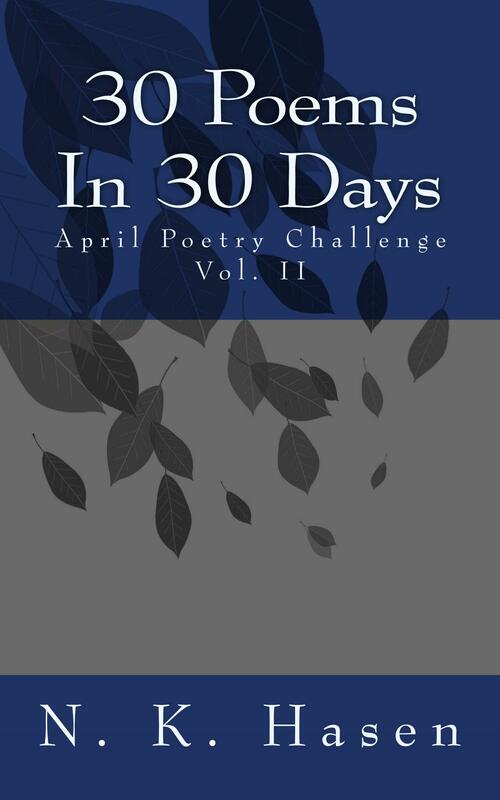 Good news, my book “30 Poems In 30 Days: April Challenge Vol II” has been published. You can find the paperback version either on Amazon or CreateSpace. It is also on some other channels too like Amazon Europe and other offline and online retailers. The kindle version is going to be coming out soon. The kindle version for Amazon is also done and ready to buy.